With a small, dedicated team of reporters, the concept of offering high quality information against reasonable prices has been a major factor in World Port Development's successful rise to prominence. Working from Maidenhead-based offices, World Port Development is now firmly established as THE leading media presence within a highly competitive industry, and has maintained and built-on a stable readership while other publications have come and gone. 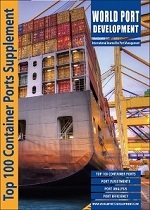 Peter set out to establish World Port Development as a leading source of information, offering both high-quality and value-added services to its readers, and ten years on this growing journal is reaping the rewards. Peter has over 25 years’ experience and has worked on several port magazines including PdI, Cargo Systems, Cargo Today, and World of Cargo Handling. Peter has travelled worldwide and during the course of his travels and other business activities he has made many valuable contacts. Peter has also worked as an independent consultant for the International Cargo Handling Co-ordination Association (ICHCA). As a consultant he has been involved in and developed various marketing and PR campaigns, managed product launches and developed numerous port events. He also researches and writes independent reports for the ports industry. Sheila has been a key member of the editorial team for over sixteen years and in 2008 she took over the role of Editor. She has been instrumental in helping World Port Development to achieve its prominent position in the industry. 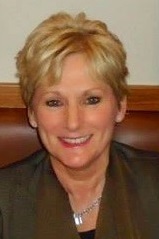 Prior to joining WPD Sheila worked in management consultancy for five years. In her early career she spent 15 years teaching in Primary Education and was involved in lecturing and mentoring new teachers. Claire joined the publication in 2008 as Business Development Manager and is an invaluable member of the team. She drives our marketing and sales team and promotes its presence worldwide by organising our exhibition and distribution programme. Before joining World Port Development, Claire worked for the BBC for 5 years in an event/marketing role. been mainly on container handling equipment and associated components. interesting and insightful articles for WPD.